This pilot trial led by a team at Kings College London has shown positive results in reducing falls risk by supplementing OTAGO programme with multisensory balance exercises. 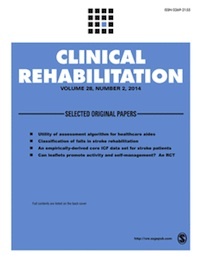 Objective: To investigate the feasibility and comparative effect of supplementing a modified OTAGO falls rehabilitation programme with multisensory balance exercises and informed sample size calculation for a definitive trial. Design: Single-blinded randomized controlled trial with pre/postcomparisons using a per-protocol analysis. 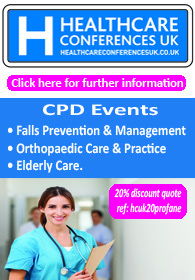 Setting: Secondary care-based falls clinic, London, UK. Subjects: Community-dwelling older people (n = 21) experiencing ≥2 non-syncopal falls during previous 12 months. Intervention: Modified OTAGO exercise classes supplemented with supervised home-based rehabilitation consisting of multisensory balance or stretching exercises. Group classes and home sessions each occurred twice-weekly for eight weeks. Results: Significant within-group improvements were noted for the Functional Gait (p < 0.01, r = −0.63) and Physiological Profile Assessments (p < 0.05, r = −0.63) in the OTAGO+multisensory rehabilitation group only and for balance confidence scores in the OTAGO+stretching group (p < 0.01, r = −0.63). Between-group differences were noted for the Functional Gait (p < 0.01, r = −0.71) and Physiological Profile (p < 0.05, r = −0.54) assessments with the OTAGO+multisensory group showing significantly greater improvement. The drop-out rate was similar for both groups (~30%). No serious adverse events were reported. 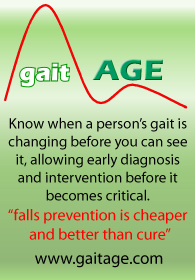 Conclusions: Supplementing the OTAGO programme with multisensory balance exercises is feasible in older people who fall and may have a beneficial effect on falls risk as measured using the Functional Gait and Short-form Physiological Profile Assessments. An adequately powered randomized controlled trial would require 36 participants to detect an effect size of 1.35 on the Functional Gait Assessment. Click here to read the full abstract online.